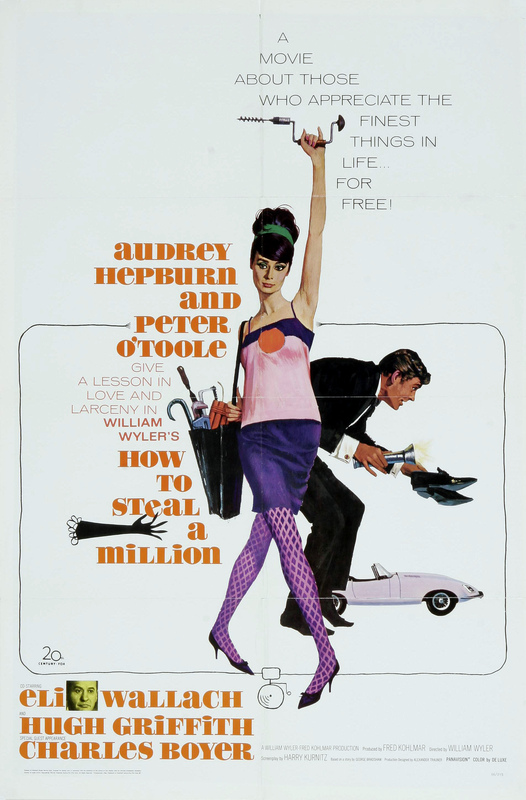 What It’s About: A light-hearted, romantic heist comedy featuring two of the best pairs of eyes in Sixties Hollywood. Simon Dermot (Peter O’Toole) is more than he seems to be, and the “Cellini Venus” statue on special exhibit may not be all that it seems either. Nicole Bonnet (Audrey Hepburn), daughter of the sculpture’s owner, is driven to desperate measures between her unscrupulous father (Hugh Griffith) on the one hand and the diverse attentions of two suitors (Eli Wallach and O’Toole) on the other. From soundtrack (an early offering by John Williams) to heist plotting to tiny cars speeding around the famous sights of Paris, everything about this movie is well done, but none of it is serious. Why Watch it Today? : The item that is the focus of the heist plot is the “Cellini Venus,” and the artist Benvenuto Cellini died on this date in 1571. He is renowned for his scandalous autobiography as well as his Mannerist art. As a rom-com, the movie also works for the run-up to Valentine’s Day. This entry was posted in Action, Adaptation, Assumed Identity, Based on a Short Story(ies), Comedy, Crime, Detective, Heist, Movie of the Day, Romance and tagged art, Audrey Hepburn, Benvenuto Cellini, caper, Eli Wallach, forgery, George Bradshaw, heist, Hugh Griffith, John Williams, Moustache, Paris, Peter O'Toole, romance, Sixties, Venus, William Wyler.